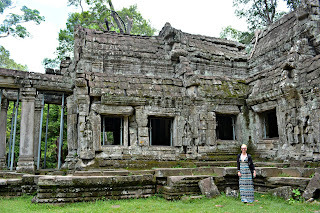 I cannot believe that four months have passed since I've returned from my SE Asia trip. If you've followed some of my previous posts, you'll easily be able to tell that Cambodia is where I left my heart. 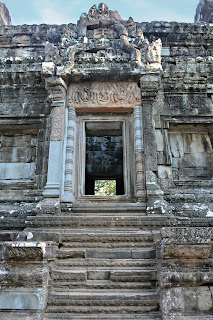 Something about Cambodia and the Angkor Temples completely fascinated me. I took 3,000 photos in just two days when viewing the temple. That is so many pictures! I'm going to quickly apologise. In my travels, I did not snap a picture of the name of the temple before entering. This rather problematic situation has not been a difficult one until trying to decipher Chau Say Tevoda and Thommanon. 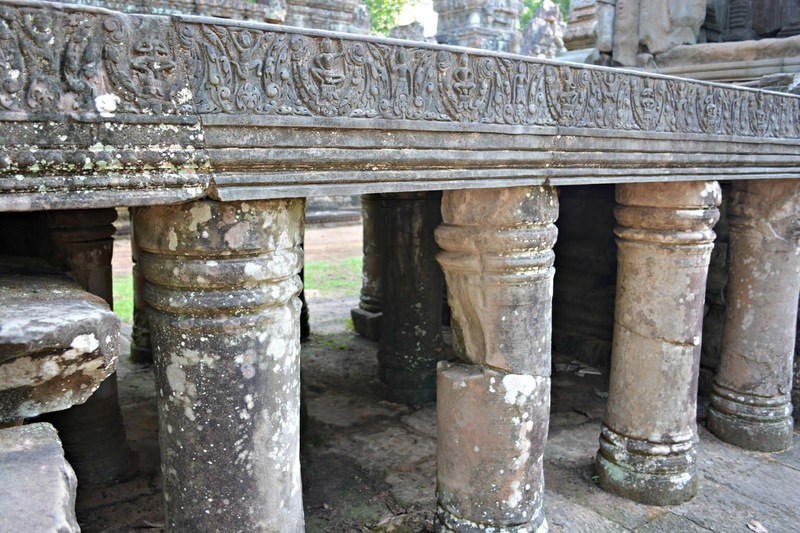 Above a small, detailed bridge welcomes visitors to one of the entrances of the temple. Even the unrestored sections of the bridge showed the exquisite detail of the past. 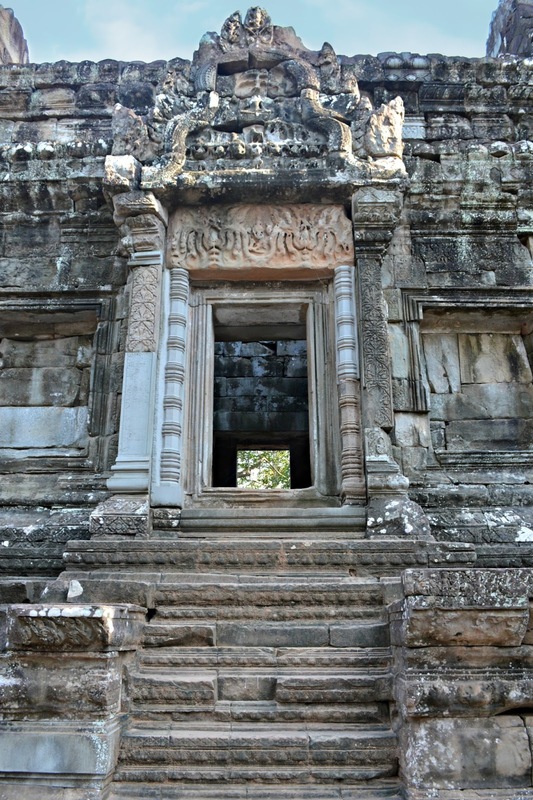 Every entrance to the four small temples that make up Chau Say Tevoda had stairs. This is symbolic of the struggle one must endure reaching enlightenment. 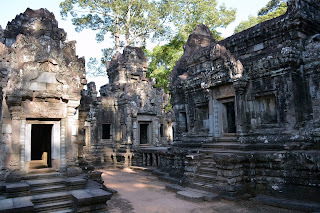 All the temples were different from one another. 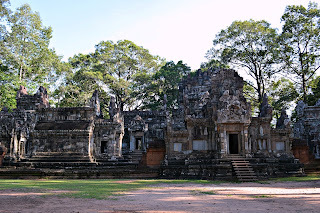 In comparison to the rest of Angkor Thom, Chau Say Tevoda and Thommanon were not one large temple but smaller temples. Chau Say Tevoda consisted of four smaller temples dedicated to Shiva. Thommanon is a smaller temple dedicated to Shiva and Vishnu. 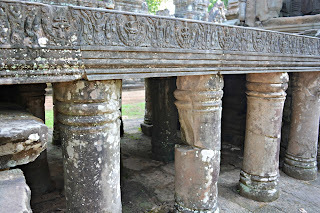 Even though the two temples were not as grand as the previous temples we had seen, they were still mesmerising and full of exquisite details. 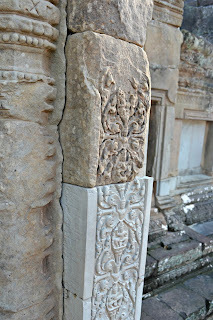 I enjoyed seeing the differences between the restored and unrestored carvings on the two temples. It helped paint a grander picture of what the temples used to look like. I still have not gotten over the exquisite detail etched into every single temple. 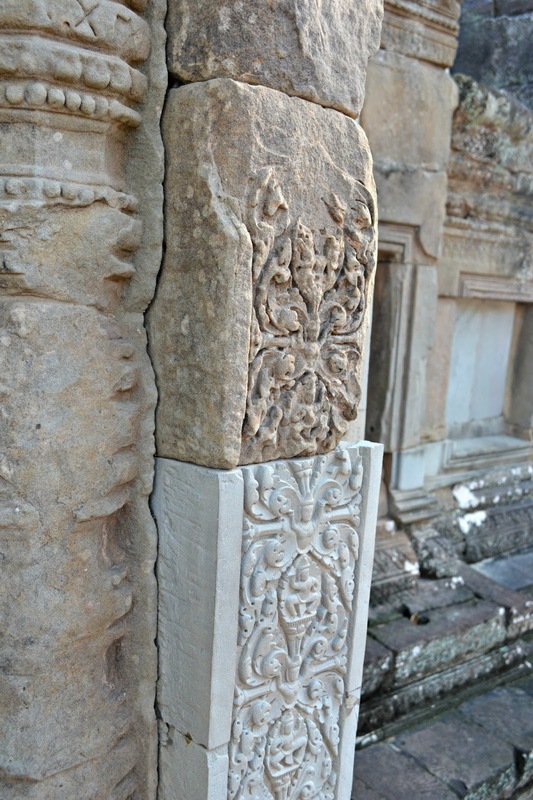 Being able to look at the ruins with the newer, remodelled pieces made me appreciate the detail and time the Khmer people put into each stone. As I look at the facades of significant buildings in Melbourne, I fail to find anything that compares. I wonder if anything ever will? If I mix the two up in this post, I deeply apologise. 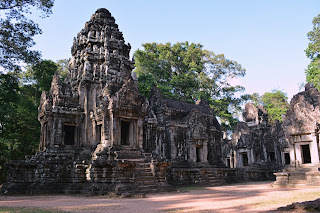 I've tried to run both through google searches to be able to identify which temple is which, however, it did not always tell me which temple it was. So if I managed to mix them up, just let me know and I'll get it sorted. 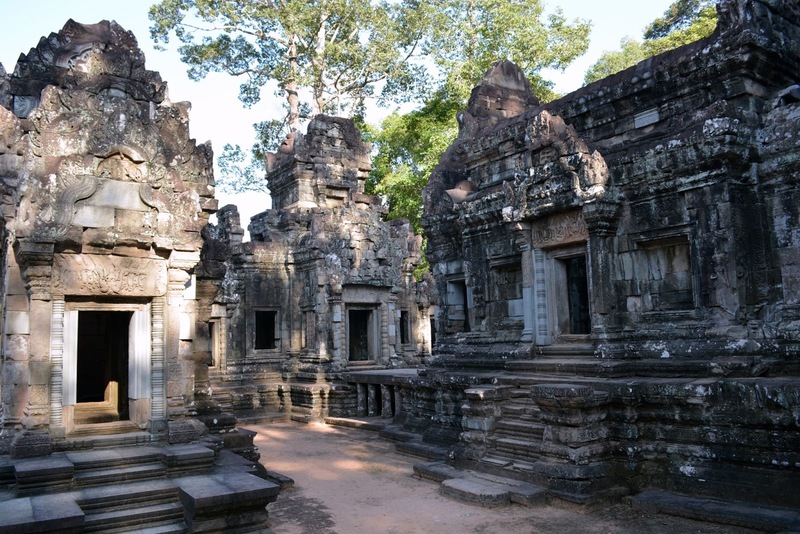 Wow, beautiful pics, I think Cambodia will be my next stop!! So gorgeous and so much history! Incredible photos.